Applicants from other school are not admissible in H30 because of capacity. We have been studying various approaches that are useful for designing transport networks and for effective operation, management and control of transport systems. We adopt a comprehensive approach in which both descriptive and normative modeling tools are incorporated. Our methodologies are based on statistics, operations research, marketing research as well as traffic and transportation engineering. Our overall goal is to provide transport systems that improve the quality of life and are sustainable in the long run. In the following we describe some examples of recent research in our group. Nowadays a large amount of data have become available to the transport analyst. IC card data tell us the boarding and alighting points of passengers. ETC data provide us with information for car drivers. Mobile phone data can be used to understand how many people are where during different time periods. 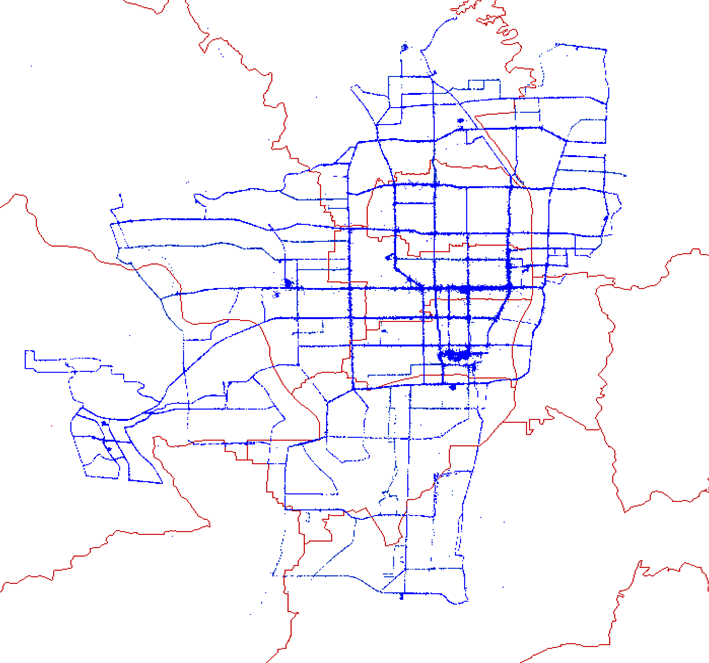 GPS bus data give us information about bus locations and service regularity (the figure on the left shows Kyoto's bus lines obtained from GPS data). Truck data obtained via GPS or digital tachograph can indicate truck routing and scheduling. Other sensors in-stalled within the city can help us understanding the walking pattern of people. We aim to utilise such data in an efficient way with novel analysis methodologies. Data often build the basis for subsequent network flow models. In other cases we start from theoretical models to gain general insights into efficiencies of networks. The fig-ure on the left shows a model of a bus stop to reflect that only some of the newly boarding passengers will be able to find a seat. Extending this model to a network helps us understanding the effect of, for example, service frequency changes. 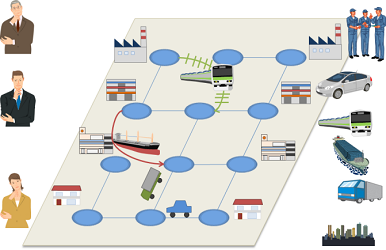 We create multimodal network flow models espe-cially considering the growing importance of car sharing, cycle sharing, cooperative freight transport systems, and other technological developments that influence network flows such as autonomous vehicles. Passengers and freight move on a transport network (TN). Designing optimal TNs is therefore efficient for alleviating or settling urban and regional transport problems. In the case of designing an optimal TN in terms of logistics, we need to take into account the decisions on logistics typically made looking over an entire supply chain network (SCN). Therefore, accurate comprehension of what happens on the SCN, namely, precisely describing the behavior of economic entities in the SCN and the resulting flow of products (and of raw materials as well) is necessary to understand the mechanism of the generation of freight movement. We are developing mathematical models to represent the behavior of manufacturers, wholesalers, retailers, consumers and freight carriers. 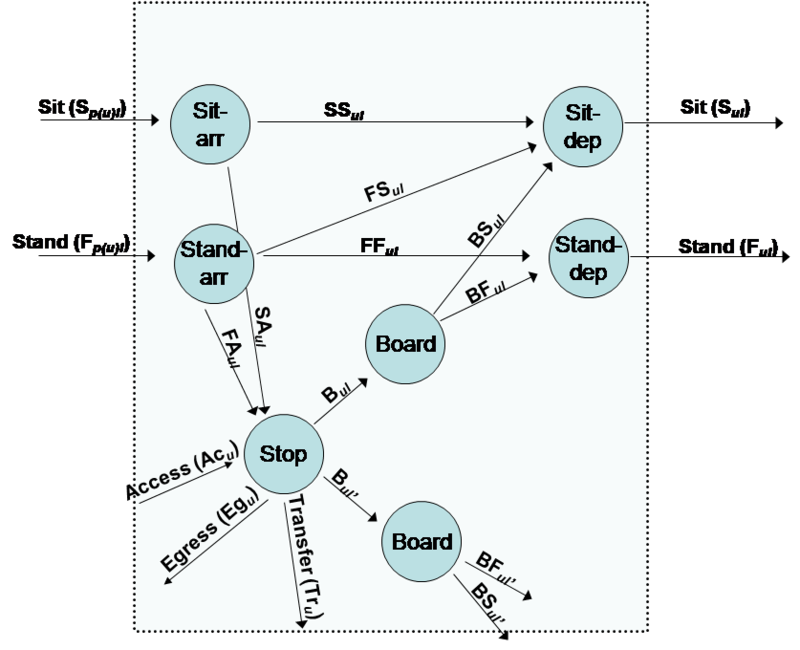 The behavior of passengers is also incorporated within the models as well as the behavioral interaction between passenger and freight traffic. This approach is a sort of supernetwork modeling. We are also tackling the development of AI-based optimization techniques capable of solving large-sized problems. copyright©20XX ITS LABORATORY all rights reserved.